Managers need advanced leadership skills to motivate a wide range of individuals and organizations need to forge their own agenda, values, structure, measurements and processes. Here are 7 key factors for success. Performance management can be defined as the skills, processes or initiatives that are used to maximize human effectiveness in organizations. It is strategic in that it should link to the longer term goals of an organization as well as integrating with other aspects of organizational life such as communication, operational realities, employee needs and expectations, stakeholder needs and a continuing list of often conflicting demands.If recent corporate history has taught us anything, it is that we are fallible beings, capable of rationalizing a definition if it suits our purposes. At its heart, leadership is amoral and no intelligent discussion of the subject can proceed outside the context of ethics, character and accountability. Leadership has the potential to marshal exceptional achievement and individual and group commitment, but it can also be manipulative and/or self-serving. 1. 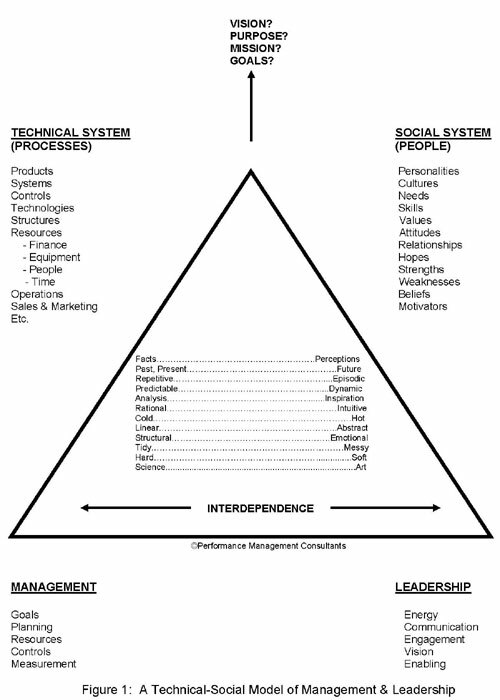 The Program design should start with the organizational or business needs translated into leadership outcomes. This will dictate the dimensions of a leadership model. A model or framework that is tailored to the needs of the organization is foundational, whether the needs require a focus on strategic thinking, operational excellence, business results, people leadership, personal effectiveness, change or any other area of considered competency development. Developing a business case for leadership development demands a rationale beyond vague developmental generalities. 2. Participants should know exactly what will happen and what is expected of them. before they embark on a leadership or management development program. They need to understand the process of the “learning journey” and the activities, content, diagnostics and methodologies that will be used. Facilitators and participants should meet and develop an understanding of intent, confidentiality, relationship and roles before the program commences. There is no place for intrigue, manipulation or surprise along the way. 3. Too great a focus on skills and ‘training”, without a corresponding focus on behaviours and personal effectiveness development is limiting. The critical developmental challenge for many participants relates to an aspect of behaviour, attitude or personality that needs work. Skills development is a normal component in most programs; however, diagnostics, self-awareness, coaching, and evolving accountability and support within a group are critical ingredients. 4. Management assessment objectives must be addressed as a totally separate initiative. Assessment is assessment and development is development. If participants feel they are being assessed they will quickly move to defensive mode. Multi-source feedback and various diagnostics aimed at self-awareness are critical elements, but they need to be properly situated within the confidentiality of the program. If your organization already has a competence framework or multi-source feedback methodology and that methodology aligns with the content or objectives of the program, it makes sense to use the existing template. 5. Program design and process need to flexible enough to encourage dynamic engagement with each participant. Participants on any program of this type will have different needs, personalities, degrees of openness, learning styles and pre-conditioning. One of the weaknesses of many programs is that they are totally content driven without enough flexibility for individuals to access critical learning in a way that works for them. 6. Good leadership management programs should incorporate clear individual accountabilities for growth. Metric analysis done before, during and after the program can bring focus to this issue, and participants should be given to understand that there is an outcome expectation. Clearly, some elements will be “developmental” and will have longer-term implications but all participants should understand that individuals will be expected to act on personal learning. There needs to be enough edge to the program that participants cannot coast and simply “do the program.” Capable management of the delicate balance of challenge and support is paramount to successful learning outcomes. 7. Remember that leadership and management development is a strategic issue. In the knowledge economy, an organization cannot grow or prosper beyond the capability of its leadership and the commitment and skill of its workforce. Management effectiveness is directly related to organizational effectiveness, employee engagement and competitive advantage.